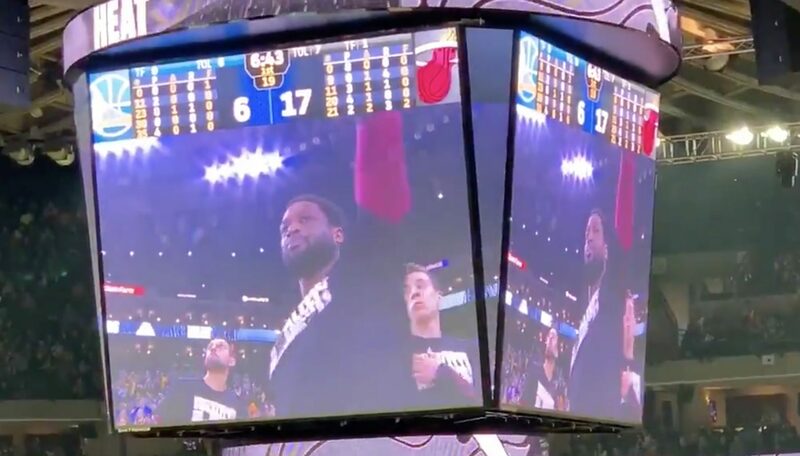 The Miami Heat are visiting the Golden State Warriors tonight, and as has become tradition this season, the home team took advantage of a timeout to share an amazing video tribute to Dwyane Wade’s legendary career. Following the video, Wade received a standing ovation from the sold-out crowd at Oracle Arena. Prior to the game, it was unclear if Wade would even suit up for the game. He was listed as questionable just hours before tipoff with a back contusion. Luckily for fans, he was upgraded shortly before the game began. Now that the video tribute is out of the way, the last thing to find out is which All-Star on the Warriors roster will be the one to exchange jerseys with Wade following the game.